It was just before I was to leave for University that a friend of mine suggested that I attend a Bible Study with an elderly man in my home town (thanks Dan; you don’t know what you gave me). I was one of only two who would meet in the kitchen of a small apartment on the edge of town where he and his wife lived. They were both aging fast, hobbled from hard living and hard times. The elder Les Beazley – or Mr. Beazley as I would call him – had the hands of a man that suffered for a living, a living that included riding broncs, logging, farming, fishing, and fighting (known for carrying two sets of boxing gloves as he travelled in order to challenge or be challenged to a boxing match… who does that anymore? Who does that ever?). By the time I met him, he’d been softened up and crippled by arthritis and untold injuries. The picture above pretty well captures the way I remember him; looking kindly with some of the fight taken out of him, rather like the patriarch Jacob who limped for the rest of his life after he had wrestled with God (Genesis 32). I spent only one evening a week for about two months with him. It was more than having nothing better to do those summer days; I was eager to learn more about the One who was beckoning me closer, and this could not have come at a better time in my life as I was about to enter an academic world that did everything it could to erode faith. I can’t remember what I learned so much as what impressed me to this day. I would ask ridiculous and annoying questions, and he’d do his best to patiently answer me with scripture, but at the end of each evening, he would pray; I found myself listening into a conversation with God. Whatever else I had thought of prayer then, it was Mr. Beazley’s genuine hard fought faith that brought me through a portal to eternity. He was actually talking with God and I knew it. His humiliations gave rise to his essential humility, his formative illiteracy gave way to simple reading, his hard living and hard drinking gave way to finding Christ finding him, and there I was: the fool to take it all in; hardly aware of what it all cost for an old man to be able to share his own spiritual journey with a teenager – the student of a man who himself had not had much opportunity to be one. When I returned to my home town through the years, I would make a point of visiting him as he became widowed and more hobbled along the way. He would express his amazement that he, as an uneducated man, would loom so large in my admiration, a university student. He just couldn’t imagine he’d have that kind of influence. When the Sanhedrin (ruling class) saw the courage of Peter and John and realized that they were unschooled and ordinary men, they were astonished and they took note that these men had been with Jesus. But what was true of Peter and John was also true of Mr. Beazley: they had been with Jesus, and this is what the spiritual life is all about. 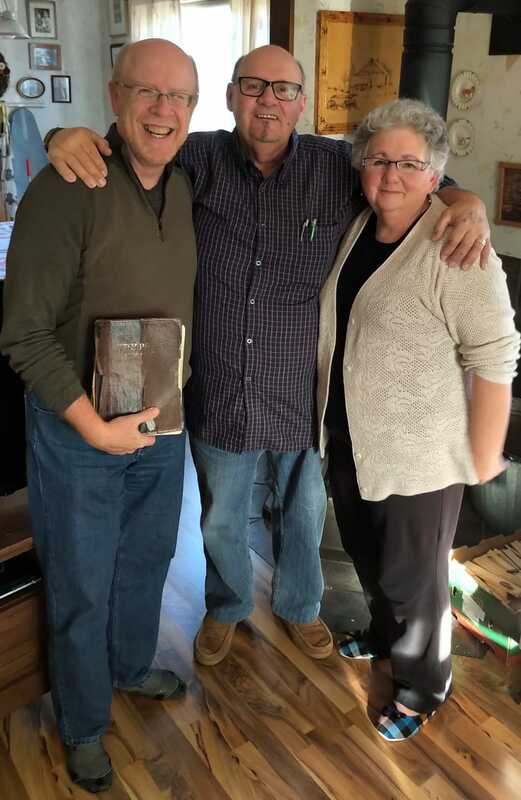 With Paul and Sandy Beazley, holding Mr. Beazley’s old big print Bible. Recently I had the good fortune after over 40 years to connect with the original friend (Dan) who bridged me to Mr. Beazley in the first place, and who then put me on to one of Mr. Beazley’s sons and his wife. 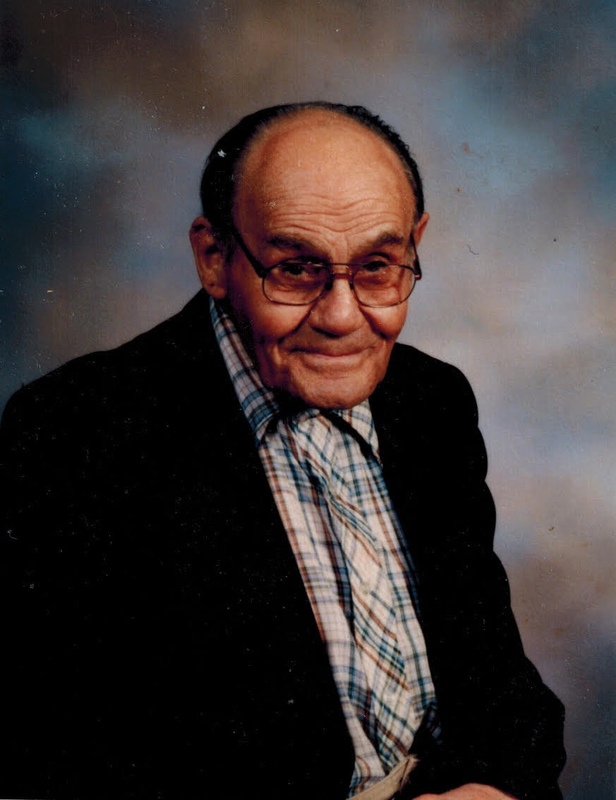 It was a great gift of connection through the generations to learn more about the man who had such a profound impact on me, and to learn that his son’s own spiritual journey came to life after the death of his father. Such is the wisdom of God to devise our unique curriculum of the spiritual life. What a curious thing is the spiritual journey: the people we meet who propel us or sidetrack us; who offer a suggestion or a serendipitous connection; we can hardly imagine the people God uses to inspire a life of joyful worship with Him. What are your observations of the people God has placed in your life along the way? And how has God used them to energize your prayerfulness with God? This entry was posted in Prayers, Proverbs and tagged Acts 4:13, Great gift of connection, Impact Canada, Listening in for the heart of God, Listening into a conversation with God, Listing in to prayer, Mentor, Mr Les Beazley, Prayer of a spiritual giant, Thankful for the people God uses in our lives, They had been with Jesus, Unschooled and Ordinary, What mentors impact. Bookmark the permalink.